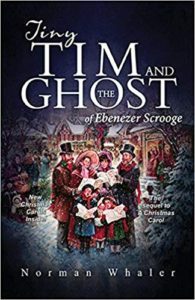 Today, Feathered Quill reviewer Holly Connors is talking with Norman Whaler, the author of Tiny Tim and the Ghost of Ebenezer Scrooge: The Sequel to a Christmas Carol. FQ: Writing a sequel to A Christmas Carol is something I believe few authors would dare to undertake. What made you decide to tackle the story? WHALER: It was always one of my families Christmas traditions to make some popcorn, turn the lights down, and watch A Christmas Carol movie! And it was always fun to speculate about what happened to Tiny Tim Cratchit after he didn't die! It had to be answered! FQ: Becky was an interesting character with a full backstory. How did she develop? WHALER: Becky is the true hero of the story. Not Tiny Tim. While she is in poverty, he is in comfort. While she fights the good fight, he crumbles and gives up. While she is faithful, he is faithless. A true counterbalance to Tim's character. 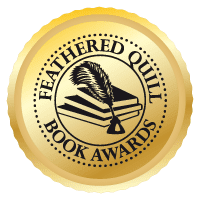 FQ: Speaking of Becky, a line that stayed with me was from a section where you were discussing Becky’s background – “It was the habit of despair that ultimately condemned a soul.” Would you share your thoughts on this with our readers? WHALER: I feel that any emotion repeated over and over becomes who you are eventually, whether it's pessimism or optimism, love or hate, joy or anger. Therefore, I believe we should try not to be the person we are, but be the person we want to be. FQ: You’re obviously a big fan of Dickens' A Christmas Carol. Any plans to tackle a sequel to any of his other novels, or a classic by another author? WHALER: I have been focusing on children's picture books right now, so no plans at this time. But you never know! FQ: Tim asks Scrooge an age-old question that many people have asked of God – “...why does God allow such misery in the world, such hatred, and evil, and indifference?” It’s such an important question and plays a major role in your story. Without giving too much away, how would you answer somebody searching for an answer? WHALER: For me, the answer is simple. WE CHOOSE every day how we behave towards each other. We can, therefore CHOOSE decency and respect and reject anger and violence. Every day we all help create the world in which we live. The choice is ours. FQ: Tiny Tim and the Ghost of Ebenezer Scrooge is a very different book/style from your other books, which are all children’s books. What are the challenges of writing in a different genre/style? WHALER: I have always been taught that with words, less is more. In Tiny Tim, every word had to earn its place on the page, using one word instead of 10. Children's picture books are mostly 550 to 1000 words. Writing a picture book is more challenging on many levels, to be sure! FQ: Your stories all have strong Christian themes of love, acceptance, faith, etc. How important is it for you to pass along this important message to today’s young readers? WHALER: In a world that has been polarized by racism, bigotry, anger, and hatred, I believe it is more important than ever to have messages that show that there is another way, and that we are not alone. 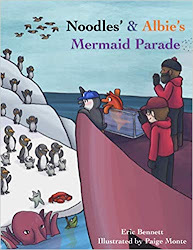 FQ: I noticed that book one in your new children’s series – Oink and Gobble – has recently been published. Would you tell us a bit about this series and what future books in the series might be about? WHALER: Oink is an adventurous young pig who gets in some trouble from time to time because of his overactive imagination. His best friend is Gobble, a cautious turkey, who tries her best to keep Oink grounded, but gets caught up in his adventures. Book 2 is now out and is called Oink and Gobble and the Men in Black! FQ: Are there any other future projects that you wish to share with our readers? WHALER: Yes! A third Oink and Gobble Book 3 is on the way, and a PB with an ecological focus! 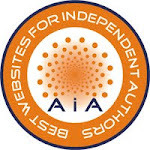 FQ: You’re a member of SCBWI (Society of Children's Book Writers and Illustrators), and CIPA (Christian Indie Publishers Association) as well as several other writer groups. 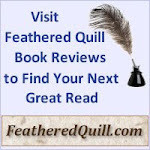 Would you recommend new authors look into joining these or similar organizations? WHALER: Oh, yes! The resources available to writers are vast and everyone should take advantage of them! I definitely recommend!